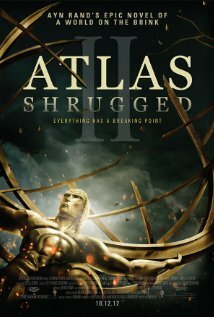 Storyline of Atlas Shrugged: Part II (2012) The global economy is on the brink of collapse. Unemployment tops 24%. Gas is $42 per gallon. Railroads are the main transportation. Brilliant creators, from artists to industrialists, are mysteriously disappearing. Dagny Taggart, COO of Taggart Transcontinental, has discovered an answer to the mounting energy crisis - a prototype of a motor that draws energy from static electricity. But, until she finds its creator, it's useless. It's a race against time. And someone is watching.